Washington, D.C.– Great Outdoors Month® 2018 was one of the most successful partner celebrations ever! Americans across the country – outdoor rookies and experts alike – decided to #EscapeTheIndoors this June and enjoy outdoor recreation on America’s public lands and waters. 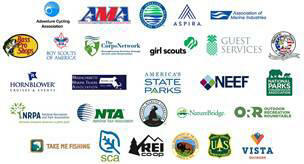 Government leaders at every level joined public and private partners in saluting the many educational, economic and social benefits of fun outdoors. At least 10,000 events in all 50 states welcomed more than 1.5 million people to our nation’s treasured outdoor places. To connect people with these great events, the Great Outdoors Month® Council expanded its completely redesigned www.greatoutdoorsmonth.org. The new website, which puts the outdoor activities that consumers are looking for – such as Agents of Discovery’s exciting new D.C. Explorer Campaign– front and center, saw significant increases in visits and engagement, thanks to #EscapeTheIndoors, a unified hashtag used by participating organizations and partners on social media to boost awareness of all the activities and events during Great Outdoors Month®. Numerous proclamations also referenced the exciting new stats on outdoor recreation from the Outdoor Recreation Satellite Account (ORSA), produced by the Bureau of Economic Analysis. ORSA data prove that outdoor recreation is a major force in the U.S. economy, accounting for 2% of the nation’s Gross Domestic Product. 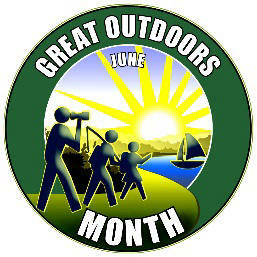 Media across the country spotlighted Great Outdoors Month®. A broad Google search for Great Outdoors Month® has hundreds of millions of results, while a Google News search brings back 25 million results and great stories ranging from AARP using Great Outdoors Month® to urge seniors to get outdoors to a celebration of Great Outdoors Month by a Pennsylvania Head Start program. More of the month’s best stories are available at www.greatoutdoorsmonth.org/gom-in-the-news. Great Outdoors Month® was also used by businesses large and small to help connect customers with healthier, more active, outdoor lives. Plans for 2019 are already underway, including an increased focus on partnerships, greater promotion of www.greatoutdoorsmonth.org and #EscapeTheIndoors, more state-level engagement, proclamations and more. Look for Great Outdoors Month® 2019 to be the biggest and best Great Outdoors Month® yet! Thanks to the entire Great Outdoors Month® Council for making 2018 such a success!